Does anyone have more info on transactions that Ann Dunham handled, particularly with Annenberg foundation, Ford foundation, health foundation. this info was available prior on the internet, but I did not save it and now it is gone. All I have are my notes. 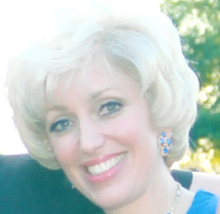 Madelyn Dunham headed the Escrow department. Any and all transactions that required escrow went through her department. Escrow accounts are required for real property transactions. Contracts often have escrow accounts (good faith money), AND depending on the agreement between foundations and banks escrow accounts are used to hold grant, and loan program monies before they are disbursed to the bank (s) who are in the area where the recipient of the loan or grant is located. It is esqrow who releases the funds, if everything is in order. Ann Dunham, was the individual who identified and approved who would receive these microeconomic loans, and grants. She funneled these fundsthrough (BRI) to 3,500 banks in Indonesia, Pakistan and the World Bank. She also handeled the funds for these projects that came from the World Bank.The Annenberg Foundation, also contributed about the time that Dunham was working with womens issues and education. For the original article, see this link. It's a safe bet that Geert Wilders won't be Time magazine's Man of the Year any time soon. If anything, the unusually coiffed Dutch MP is a favorite hate figure of the Western media, which has spent years vilifying him as a "reactionary," a "particularly dangerous type of demagogue," a "racist" and an "Islamophobe." Wilders would almost certainly plead guilty to the last charge, and with ample reason. His tireless campaign to sound the alarm about the growing threat of Islamic radicalism in the West has turned him into a target of Islamic jihadists and the object of untold assassination plots. A 2006 death threat, one of hundreds he's received, declared that his "infidel blood will flow freely on cursed Dutch streets." Al-Qaeda has specifically singled him out for slaughter. Against this menacing background, it would have been no failing in his character if Wilders had decided that the price of speaking out about Islamic fundamentalism was too high; others in his prominent position would have reached just that conclusion. Instead, Wilders has persevered. Braving daily death threats and sacrificing the security that his critics take for granted, he has opted for the often-thankless task of saving Western civilization from its Islamist discontents – beginning with the valuable reminder that the demands of Islamic zealots are not only not congruent with Western values but are, in fact, in direct conflict with them. For his impressive personal courage, his steadfast political commitment, and his refreshing disdain for the suffocating pieties of political correctness, Geert Wilders is Front Page Magazine's Man of the Year in 2008. The steep risks involved in Wilders's anti-Islamist campaign are tragically illustrated by the fates of two of his countrymen. Pim Fortuyn, the popular Dutch politician who warned against the Islamisation of Dutch society and railed against the "backwardness" of certain Islamic traditions, was gunned down by a crazed animal-rights activist in 2002. His killer later claimed that he had shot Fortuyn in order to defend Dutch Muslims from persecution. Next on the hit list was Dutch provocateur and documentarian Theo Van Gogh. In 2004, Van Gogh was gruesomely murdered in Amsterdam by Mohammed Bouyeri, a Dutch-born Islamist who judged Van Gogh's film on the mistreatment of women in Islam, Submission, to be a crime deserving of death. To Van Gogh's butchered body, Bouyeri pinned a list of "infidels" who "deserved to be slaughtered." Among the names singled out for execution was Geert Wilders. The threats were all too real. Shortly after Van Gogh's murder, Dutch authorities discovered an Islamist network with advanced plans to kill Wilders, and an internet video surfaced promising 72 virgins to anyone who carried out the deed. As police investigated, Wilders was forced into 24-hour protection, traveling from safe house to safe house to avoid his pursuers. Even today he is never without dark-suited bodyguards by his side. "There's no freedom, no privacy," Wilders says. "If I said I was not afraid, I would be lying." Yet, Wilders remains undaunted. This March, he again incensed Islamists when he released a short but explosive film called Fitna, which seeks to show that Islamic terrorism is directly inspired by the Koran. Artistically rough, the film is nevertheless effective, juxtaposing graphic footage of Islamic terrorism – including the 9/11 attacks, the Madrid train bombings, and the beheading of American contractor Nicholas Berg – with Koranic verses and clips of Islamic clerics preaching the murder of non-Muslims. If nothing else, the film makes it impossible to argue that Islamic texts have nothing at all to with the terrorist violence committed in their name. Fitna is often translated from the Arabic as "persecution." That's grimly appropriate, because the film's release unleashed a veritable war on Wilders, as jihadists and their unwitting allies in the West sought in different ways to silence the Dutch politician. Anticipating Fitna's release, muftis across the Middle East promised violence if the film were released. The Taliban pledged to step-up attacks against Dutch troops in Afghanistan. In Indonesia, a group calling itself the Islamic Defenders Front surrounded the Dutch Embassy in Jakarta with signs urging "Kill Geert Wilders." An al-Qaeda linked website duly ordered his death. Less bloodthirsty – but more spineless – was the response in the West. Dutch television stations flinched from airing the film, forcing Wilders to release it on the video hosting site LiveLeak.com, which soon pulled it due to "threats to our staff of a very serious nature." (LiveLeak later restored the film.) Political leaders meanwhile went out of their way to denounce Wilders. Thus Dutch Prime Minister Jan Peter Balkenende insisted that Fitna "serves no other purpose than to cause offense," while U.N .Secretary General Ban Ki-moon called it "offensively anti-Islamic." A white flag was also unfurled by Dutch Foreign Minister Maxime Verhagen, who urged Wilders to give in to Islamist demands not to show the film, warning that it could "endanger the lives of Dutch nationals" abroad if he did. Dutch Muslims – inadvertently proving Wilders's point about the incompatibility of Islamic beliefs and Western freedoms – demanded that the film be banned. But just as the tide of elite Western opinion was turning against him, Wilders was vindicated by an unlikely observer: Libyan-based jihadist cleric Omar Bakri. Not only were Fitna's attempts to link terrorist violence with Islamic teachings not offensive, Bakri explained, but they were entirely accurate. Indeed, Bakri said, Fitna "could be a film made by the mujahedeen." In other words, Wilders was exactly right. He's been right about a lot of things. To take one example of many, Wilders has been resoundingly right about the dangers of surging Islamic radicalism in Europe. While he has been condemned for calling for the closure of radical mosques and the deportation of militant clerics, back in 2004 Wilders accurately pointed out that 25 Dutch mosques had terrorist connections, while their resident imams preached against the evils of democracy and Dutch values. One such preacher, Tilburg-based Syrian imam Ahmad Salam, first came to Dutch public attention with sermons urging Muslim men to beat their wives, then refused to shake hands with Dutch Integration Minister Rita Verdonk in 2004, and again courted notoriety when he urged his followers to avoid paying taxes in order to "damage the state." Despite his undisguised contempt for Dutch laws and culture, Salam continues to call Holland home. It would be hard to find more telling confirmation of Wilders's warnings. Wilders has also been correct that Western ideals of tolerance and equality are under assault by Islamic radicals. European police report that Islamic honor killings are on the rise. In 2005, for instance, a review by British police of 22 domestic homicides led to 18 of the cases being reclassified as "murder in the name of so-called 'honor.'" Polls routinely find that a disturbingly large percentage of Muslims – one in 10 according to a 2006 BBC poll – would condone the murder of someone seen to have disrespected their families honor. The situation is equally dire in Wilders's native Netherlands. In Amsterdam, once the "gay capital of Europe," gays are frequently attacked and beaten up by roving gangs of Muslim thugs. An August 2007 survey by current affairs program EenVandaag found that nearly half of Dutch gays feel less safe in the country's streets. No wonder that many Dutch citizens are coming around to Wilders's view of the Islamist threat. According to a May 2005 poll, 43 percent of the Dutch now believe that Islam is incompatible with Western society. Similarly, a 2006 poll found that the majority of native Dutch regard Islam as intolerant, violent, and hostile to women. Not that Wilders has gotten credit for bringing these matters to national attention. For his troubles, he has been tarred as a "far-right" bigot and xenophobe. The truth is that Wilders is a liberal in a uniquely European sense. What he champions are quintessentially Western values: separation of church and state; equality of the sexes; free expression; the right to provoke and even, yes, to offend. His proposal to ban the all-covering burqa owes more to the ideals of gender equality than to religious discrimination. Even his more controversial measure to stop the Islamisation of Europe – an end to all Muslim immigration – is more about safeguarding Western traditions than locking out foreigners. That is why he has always stressed that Europe should remain a place of refuge, including, for instance, for gay Muslims fleeing persecution. True, Wilders is an unabashed believer in the superiority of Western culture. But the fact that this is now considered a thought crime is more of an indictment of the contemporary Western world than it is of Wilders. Given the great personal costs he has suffered, it must be asked: Has it all been worth it? It is a measure of Wilders the man that he never struggles with the question. "Speaking out boldly cost me my personal liberty, with 24-hour security and police protection for more than four years now," Wilders told Front Page Magazine last week. "But if I and others don't at least try, and if I would not do my modest bit, millions of westerners will lose their liberty. You see, there is so much at stake. Our liberty and freedom are being bargained away and only so few speak out against it. I am no hero but I would rather be killed for what I say and believe than submit in silence to Islamic totalitarianism. If I regret anything at all, it's is not being too bold but not being bold enough." Geert Wilders has made all the right enemies. At a time when many counsel accommodation of Islamist demands, Wilders remains defiant. In an era of civilizational self-loathing, he defends the West without apology. Despite the threats to his life, he refuses to be silenced. For all this, Wilders deserves the praise of many – including the many in the West who scorn his name. Statements have been made in the public domain that if Obama was not born in Hawaii but rather in Kenya, that he actually committed a crime involving fraud. That leads me to think that if that were true, then Obama has a Constitutional and state common law right to avoid further self-incrimination and to remain silent. That could explain why he has neither talked publicly nor wants to talk in any court of law about where he was born. But his right to remain silent would not extend to withholding his original Certificate of Live Birth. Disclosure of documents is not testimonial (coming from a person's mouth) and his 5th Amendment and state common law right to remain silent and to not incriminate himself would not prevent such disclosure. This leads me to the main point. Obama at present finds himself in a trilemma: (1) Does he state publicly that he was born in Hawaii if he knows he was not and thereby "perjure" himself in the court of public opinion should the truth be eventually discovered? If he so swore under oath before Congress or any court of law, it would be actual perjury. (2) Will he produce his original birth certificate which may show and will he tell the public the truth that he was not born in Hawaii but rather Kenya and thereby betray his natural instinct of self-preservation and his life-long ambition to be President of the United States? or (3) Does he remain silent as to where he was born and continue to refuse to release his original birth certificate and thereby earn the contempt of those in the public who believe that he has not convincingly proven that he is a "natural born Citizen" and eligible to be President? I submit that Obama has made the third choice. (1) To date, no court of law has been willing to accept any case challenging his "natural born Citizen" status. The courts have dismissed law suits against him for reasons of jurisdiction, standing, political question, justiciability, and for reasons unknown. These procedural obstacles have allowed him to escape having to defend the underlying merits of the claims against him which would necessarily involve his having to make declarations under oath as part of legal discovery and before the court itself in case of a trial. He will simply continue to pursue this procedural strategy, for being so successful will allow him to maintain his silence and not produce his original birth certificate with the cost to him personally of only having to pay his team of lawyers. This strategy explains why he is willing to spend enormous amounts of his own money and resources for his legal defense (maybe not even his own money if he can make a case that he can use his campaign contributions to meet the costs involved) and cause private individual plaintiffs and public institutions (courts and public entity defendants) to spend theirs with no end in sight. This strategy also provides great impetus to the sales of his past and future books, thereby further filling up his coffers. This strategy also explains why he is not willing to simply spend less than $100.00 and produce his original birth certificate for the benefit of those Americans who want to see it. Lastly, this strategy provides an answer to the question of, assuming that Obama in the end simply produces his original birth certificate which shows he was born in Hawaii, why would Obama risk the public then perceiving him as one who played a dirty little game for the sake of aggrandizing his own image and increasing his profits. (2) Obama wants (i) people who simply voted for him, (ii) people who are apathetic to the eligibility issue or because of ignorance, fear, or self-ambition refuse to address it; and (iii) people who in good faith believe he is eligible to be President (these categories may overlap), to believe that all the lawsuits and internet chatter questioning his eligibility to be President is political sour grapes, racism, or "tinfoil hat" conspiracy nonsense. These "explanations" for this outcry against him provide great camouflage for his silence and refusal to release his original birth certificate. This strategy limits any contempt backlash to only those who oppose him on the eligibility issue and to no one else, thereby greatly reducing the price associated with the public contempt component. The benefits Obama gains from stonewalling compared to the price he has to pay for complete disclosure makes the choice to refuse to speak about where he was born and to produce his original birth certificate most attractive for Obama. The stakes are high in this game for the Office of President. Obama has shown that he has the arrogance and audacity to play the game any which way he wants simply to win that Office and greatly profit thereby. The question for many concerned Americans who doubt whether he is eligible to be President is what they can do to get the nation’s political, legal, and social institutions to adequately and honestly investigate and decide whether he is indeed qualified to be President. Obama’s strategy is now preventing these Americans from learning the truth about whether he is eligible to be President. The ball is in the court of those who challenge Him. Is there any relation between Allison Davis (Obama's former boss at Davis and Miner and Rezko's partner) and Frank Marshall Davis, that used to live in Chicago and was BO's mentor? Maybe it's just a common name, no relation, I don't know. Does anyone have info on BO's exact address in Sommerville, MA? This name popped up in Boston, Cape code, NY, VA and CA. Can be either Scott of Barry Scott. Two different spellings of last name Turkowitz and Terkowitz. Also, does anyone have info on Barrack A Obama. Notice middle initial A. Need more help: what did Madelyn Dunham do as a vice pres of Bank of HI? 1. did she deal with pension funds? 2. did she deal with foundations? Which? 4. Hi exemptions for native owned lands? Write to Pres Bush: "Appoint Patrick Fitzgerald a Special Prosecutor"
As of now the only person that is actively investigating New Chicago Mafia is Patrick Fitzgerald. Keep in mind, God works in mysterious ways. Elliott Ness didn't get Capone and old Chicago Mafia on murder, he got them on tax evasion. Remember that House and Senate members are more likely to pay attention to contacts from constituents. The struggle over the Obama Eligibility Controversy essentially amounts to a propaganda war. The pro-Obama forces have essentially a huge advantage, being much better organized and better funded. Those of us wanting to see the Obama Eligibilty Controversy addressed are a rag-tag group of volunteers and amateurs. We do not have the support of the mainstream media, which is still powerful but represents a slowly waning influence. We do not even have the support of most mainstream conservative media, for the most part, including Fox News and conservative talk radio. We do not have the support of the Republican Party, which one would expect to be our natural ally . The conservative special interest groups, advocating controlled immigration, gun ownership rights, a pro-life agenda, etc have mostly avoided us so far, and been essentially silent, although we have reached out to them. We have been branded as fruitcakes, flakes, nutjobs and conspiracy theorists; lunatics who wear tin foil hats, worry about One World Government and the end of the world. Even in the "new media" arena on the internet, getting the message out about potential problems with Obama's eligibility has been an uphill struggle. 1. A "Politifact" article from June 27, 2008 debunking rumors that the Obama birth certificate posted online is suspect (supposedly owned by St. Petersburg Times). There is no evidence that "politifact" is neutral or the result of any scholarly effort. It references the "Fight the Smears" website, the official Obama Campaign website, as a reliable "authority". 2. An LA Times blog article from June 16, 2008, and supposedly updated in August, 2008, presenting the "Fight the Smears" Certification of Live Birth as a valid Hawaiian birth certificate, allegedly "proving" eligibility. I would not trust the LA Times editorial page in this matter, and I have even less respect for an LA Times blog article. 3. A "snopes.com" article, last updated November 15, 2008 but apparently originally written in June of 2008, quoting material from the websites "Fight The Smears" and "Factcheck.org" (uncredited) and quoting the dismissal of the first Berg case. Although the Berg case was dismissed on the issue of "standing" and not for the substance of the evidence or arguments presented by Berg, the supposedly neutral "snopes" site spun their article in a completely partisan way. Snopes was started by a husband and wife at home, although might have been purchased later. We do not know who owns snopes at this point. However, the credentials of the original founders has never been ascertained with any degree of confidence. Do you trust two essentially anonymous and self-appointed bloggers writing a website at their kitchen table to determine the eligibility of someone who will occupy the most powerful office on the planet? 4. A Google news news article; depending on what is the top news item judged by the Google algorithm at any given time, this entry might be favorable to Obama, or it might not be, or it might be irrelevant. At the moment, the search I just performed produced an irrelevant news article. 5. The "Factcheck.org" article purporting to show that Obama's Certification of Live Birth is an unaltered official copy that proves Obama's eligibility. Many questions have been raised about this article and the document presented. An investigation into the staff at factcheck.org shows that the team consists of theatre majors, political science majors, undergraduates and other nonexperts. This were no forensic document experts involved. Connections of factcheck.org with the Annenberg Foundation at least give the appearance of impropriety. 6. An Israeli Insider article describing in detail some reasons the presented Obama COLB(s) appear to be fraudulent. 8. The original Fight The Smears article about the Obama birth certificate. This is the official Obama campaign website. 9. A link to the Chicago Tribune article about the dismissal of the Donofrio Case on December 8, 2008. 10. A second link to the original Fight The Smears article. c. A December 9, 2008 article from the left-wing Huffington Post entitled "Obama Birth Certificate Kooks In Court"
So at the moment, on the first page of Google-retrieved links, I find seven out of ten are pro-Obama articles, 2 of which are from Obama's official campaign site, and all seven of which are somewhat doubtful. In addition, Google retrieved three blog articles, and two out of 3 the blog posts are pro-Obama articles. Most of these articles are weeks if not months out of date. I know that the Googlebots update rankings more frequently than that. It is awfully hard for me to believe that the top-ranked articles from the Google PageRank algorithm on this issue remain two articles from June of 2008, namely the politifact article and the LA Times blog article. Previous searches using the Google search engine over the last 2 or 3 months showed that the LA Times blog article was the top-ranked hit for weeks on end and has never dropped out of its top ranking until this "politifact" article replaced it. At that point, the LA Times blog article assumed its current position in second place. Of the three remaining articles, one is the result of a feed from Google news, so does not quite count. One is from Youtube, so again it does not quite count. Of the 8 "regular" articles chosen by the Google algorithms for top-ten ranking, 7 are pro-Obama. Of the 3 blog articles chosen by the Google algorithms to display, 2 are pro-Obama. The pro-Obama articles are almost all wildly out of date. Ancient history, by internet standards. This is probably the result of either (1) "pagerank engineering" or (2) intervention by Google. It is fairly easy to get a link to rise in search engine ranks. It mainly involves linking to the site from other highly ranked sites, at least in the case of Google Searches. It would not be too difficult to believe that the Obama internet team, with its funding and depth and resources, would easily be able to accomplish. Less likely, but still possible, is that Google itself has "pinned" certain articles to be high ranking. Reportedly Google CEO Eric Schmidt backs Obama, has campaigned for him, and even is being considered for a position in the Obama administration. Even if I go to the second page of Google-chosen articles, I find something similar going on, although it is not quite as extreme. I find 3 pro-Obama articles (again, mostly out of date), 5 links associated with the Obama Eligibility Controversy, and 2 news articles. Maybe I am confused and misleading myself, but I put a fair amount of stock in the reports of uneasiness of the US military with Obama's presidency , the informal AOL survey showing 53 percent believe there are some unanswered questions about Obama's eligibility and accounts that Obama's base of support is fracturing. When I look at reporting of polls in the mainstream media, the results appear to be "cooked" to make Obama look more popular than he is. I suspect we are observing what is essentially a "new age" publicity campaign, using the internet, to convince us that Obama is universally wildly popular and there are no serious questions about his eligibility. Even the numerous "o-bots" that turn up on our comment pages here seem to be extraordinarily driven to spread disinformation. Why is that? What are they so afraid of? A little openness and transparency? On doing some web surfing, I came across what I believe is one of the most cogent discussions I have encountered on this issue. Someone who writes as "Joe the Farmer" contributed a piece titled "Why the Barack Obama Birth Certificate Issue Is Legitimate", which was published November 26, 2008 in American Thinker. I highly recommend it to all. I sent off a letter to Chief Justice Roberts of the US Supreme Court, as suggested by Reverend Manning. I asked Roberts to please consider hearing one of these cases before the Court on the Obama Eligibility Controversy. I asked the COurt to affirm the definition of the phrase "natural born citizen" and define more clearly what Congress' role is in interpreting or redefining this phrase. I have also written to "Senator Snopes" (i.e., Senator Jon Kyl) and the other Congressmen and Senators in the Congressional Hall of Shame. Did you? I have also written repeatedly to Congress and their aides about this matter. Did you? I have contacted my state and federal elected representatives in writing and by phone repeatedly. Did you? Join me in making them aware of how important this is. The Congressional January 8th meeting is very soon. The Supreme Court meetings on January 9th and January 16th are all too close. illinoisreview.typepad.com — According to the Cook County Assessor's website, the Chicago home of four-term Democrat Congressman and likely new White House Chief of Staff, Rahm Emanuel, doesn't exist...there seems to be no public record of Emanuel ever paying property taxes on this home. According to the Cook County Assessor's website, the Chicago home of four-term Democrat Congressman and likely new White House Chief of Staff, Rahm Emanuel, doesn't exist. While the address of 4228 North Hermitage is listed as Emanuel's residence on the Illinois State Board of Elections' website, there seems to be no public record of Emanuel ever paying property taxes on this home. The Cook County Assessor's and Cook County Treasurer's online records indicate Emanuel's Chicago neighbors pay between $3,500 and $7,000 annually. However, Illinois Review has been unable to locate any evidence that the former Clinton advisor and investment banker is paying his fair share of Cook County's notoriously high tax burden. Why wouldn't 4228 North Hermitage property owners Rahm Emanuel and wife Amy Rule pay property taxes? One reason may be because Emanuel and Rule declared their 4228 North Hermitage home as the office location for their personal non-profit foundation called the "Rahm Emanuel and Amy Rule Charitable Foundation". As the non-profit's headquarters, their home could be exempt from paying property taxes. The Rahm Emanuel and Amy Rule Charitable Trust was formed in 2002, when the Chicago lawmaker was first elected. The former Clinton White House aide and his wife, Amy Rule, are its only donors. Emanuel was an investment banker after serving in the White House. The trust reported having $2,900 on hand at the end of 2005 after receiving $34,000 from Emanuel and donating more than $31,000. During the past three years, Emanuel's charity gave nearly $25,000 to the Anshe Emet synagogue and school [a private school that the Rahm/Rule children attend]..., and $15,000 to the foundation run by former president Bill Clinton. It also gave $14,000 to Marwen, a Chicago charity that provides art classes and other educational help to low-income children. Rule is on Marwen's board. Emanuel's 4228 North Hermitage home is one of the largest in the neighborhood, with a side yard that appears to be a vacant lot, making the Emanuels' property the largest portion on the block. Other North Hermitage homes on Emanuel's block are valued in the $500,000 plus range. According to Cook County Treasurer's website, the Chicago owners of nearby 118 year old 4222 North Hermitage pay almost $6800 annually. The family at 4224 North Heritage pays $6000 each year in property taxes. President Elect Obama - himself a connected, Chicago insider who has benefited from questionable land deals - may find it difficult to explain why his very own Chicago-based chief of staff doesn't pay property taxes like the "little guy" he claims to represent. Or perhaps allowing his wealthy friends to avoid taxes is part of Obama's trickle down redistribution economics. It's certainly the kind of "change" we Illinoisans can believe in...since we're quite familiar with it here in the federal indictment land of Daley, Blagojevich, Madigan, Jones, Cellini, Rezko, etc., etc. Let's contact them to let them know we are concerned. Isturiz is an Afro-American Venezuelan politician with national recognition. 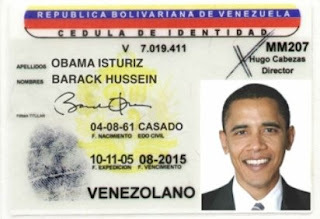 You posted what looks like a Venezuelan driver's license or identity card, and it seemed to have Obama's last name as "Obama Isturiz". Did you notice that? It has his first name on the next line, "Barack Hussein." I googled Isturiz, wondering what that word was there for. I found the above link to a well-known Venezuelan politician who is Afro-Amercan. Were they falsifying Barack's last name, making him look connected to a famous politician, to help him move about? Pretty odd. He now has about 6 aliases. Your note on the immigration officer who was an eye witness looks promising. Hope you can locate the Immigration office who feels he saw Obama enter as a foreign student, and he could sign a notarized statement, for lawyers to back up their suspicions of Obama as an Indonesian immigrant. Also, I bet Obama went to high school in Hawaii, then Lolo told him how he went to El Camino HS and maybe Lolo went on to a free education for foreign students at Occidental (the free needs verified, but I read that somewhere), and so Obama enrolled at El Camino as Barry Soetoro (in the alumni yearbook 1980 under that name) and it facilitated his free education at Occidental as an Indonesian. Coming from a Hawaiian high school may have prohibited him. Just a guess. Yesterday, Interpol confirmed the authenticity of Raúl Reyes's computer files. Reyes was a top commander of Colombia's left-wing guerrillas the Revolutionary Armed Forces of Colombia (Farc) killed during a Colombian military operation in Granada, Putumayo, on March 1, 2008. In the aftermath of the attack on Reyes and FARC, the Columbian government claimed that it seized computers belonging to the rebels that contained emails and other information detailing support for, and the goals of, the leftist rebel group. Hugo Chavez took the opportunity to accuse Columbia of military aggression against Venezuela and massed thousands of troops on the Columbian/Venezuela border while threatening war. Chavez also claimed that the information contained on the laptops was a fabrication. Interpol, however, says Chavez was wrong. The information found in the computers of the deceased leader of the rebel Colombian Revolutionary Armed Forces (FARC), Raúl Reyes, was not manipulated by Colombian authorities, according to an Interpol's report to be released next May 15, as disclosed by Bogota El Tiempo daily newspaper. The report stated that a committee comprising computer science experts from Korea, Australia, and Singapore working for the International Criminal Police Organization (Interpol) completed last May 2 the investigation into the three computers found in Reyes' camp in Ecuador, Efe reported. 'The first finding was that Reyes' files were not manipulated and that security agencies and citizens who had the computer in their hands kept them safe,' the Colombian newspaper stated. Based on the information found on the laptops, the Colombian National Ministry of Defense reported last month that authorities had seized 60 pounds of uranium that belonged to FARC. The fact that the information has now been confirmed as authentic is horrible news for Colombia's FARC supporting neighbors and US Democrats. The gringos will ask for an appointment with the minister to solicit him to communicate to us his interest in discussing these topics. They say that the new president of their country will be Obama and that they are interested in your compatriots. Obama will not support 'Plan Colombia' nor will he sign the TLC (Colombian Free Trade agreement). Here we responded that we are interested in relations with all governments in equality of conditions and that in the case of the US it is required a public pronouncement expressing their interest in talking with the FARC given their eternal war against us. You can draw your own conclusions. But in light of his Reverend Wright and William Ayers ties, his adherence to the Marxist black liberation religion, his stance on free trade agreements, and his despising of free-thinking, gun-toting small town America, I will draw my own conclusion too. Obama is a marxist. And while you may not see it, marxist rebels with uranium do. ACORN International has offices in South America. Obama has been a community organizer with ACORN for years. He even headed up the start of Project Vote for ACORN in 1992. ACORN International is even working the Get Out The Vote effort for DemocratsAbroad. The Founders and Framers were incredibly intelligent people. In fact, they operated, intellectually, at a grade 24 level, grade 12 equating to the senior year in high school. Therefore, it shouldn't come as any surprise that each Article and Amendment – each tenet – in The Charters of Freedom was painstakingly examined, debated, reviewed and, finally, included. Article II, Section 1 of the United States Constitution – the Article that clearly states the qualifications for holding the office of President of the United States – is no different. To be clear, I have no decided position on whether or not President-Elect Barack Obama is a natural-born citizen or otherwise. I believe that we – as a people – need to base our understanding on any and every issue on the facts. But in the case of Mr. Obama’s status of natural-born citizenship there are too many unanswered questions and not enough transparency where the facts are concerned. For a candidate who ran his presidential campaign on the promise of transparency, Mr. Obama has proven in the earliest moments of his executive tenure that transparency is subjective. The most troubling of the troublesome questions is why Mr. Obama didn’t immediately release his vaulted, original birth certificate for examination. This act would have not only eliminated a potential stumbling block for his campaign, but it would have certified his eligibility for the office of President of the United States and saved the taxpayers the cost of judicial intervention. Instead, under the pretext of visiting an ailing grandmother in Hawaii just days before the 2008 Presidential Election, Mr. Obama had his vaulted, original birth certificate sealed by Hawaii’s governor, Linda Lingle (R). On Friday, December 5th, 2008, the full compliment of the United States Supreme Court will hold a Rule of Four Conference hearing on the issue of Donofrio v. Wells; a lawsuit alleging that New Jersey Secretary of State Nina Mitchell Wells was delinquent in disqualifying ineligible candidates for President of the United States from the November 4th, 2008 General Election Ballot. The US Supreme Court Rule of Four states that before a case is put on the docket, four out of the nine Supreme Court justices must agree in conference to hear the case. If four out of the nine Supreme Court Justices agree, Donofrio v. Wells will be heard by the full United States Supreme Court and our nation will stand on the brink of a Constitutional Crisis. There are many reasons why someone running for the office of President of the United States should be a natural-born citizen but four come to mind as the most immediate: Allegiance, Sovereignty, Foreign Intervention and the Safeguarding of The Charters of Freedom. It is important that anyone aspiring to the office of President of the United States have a steadfast allegiance to The Charters of Freedom and the country, without reserving any allegiance to any foreign power, entity or potentate. Because the President of the United States serves as Commander-in-Chief of the United States Armed Forces it is essential that the person holding this position, and the authority to unleash the power of the US military, not be compromised of allegiance. And because the President is the Chief Executive -- the administrator to all Executive Branch authorities and departments -- it is paramount that this position be limited to those who would dedicate themselves to "country first." A person holding dual allegiance – or dual citizenship – would be put in the position of having to choose between those allegiances and would, therefore, compromise his oath of preserving, protecting and defending the United States Constitution. In an age when there exists a substantial number of federally elected officials who believe the United States should take its seat as an equal in a one-world, globalist order, it becomes critical that the person elected to serve as President of the United States have an unwavering dedication to our nation’s sovereignty. With the advent of organizations such as the “World Court” and an ever-advancing encroachment of United Nations authority upon our sovereignty, it is important that our national sovereignty be protected at all cost. Allowing someone who does not satisfy Article II, Section 1 of the US Constitution to ascend to the office of President facilitates an opportunity for globalist ideologues to position themselves to do harm to the Charters of Freedom at the hand of world opinion and at the expense of the Rights as enumerated in The Charters of Freedom. When one takes into account many of the extreme laws governing free speech, property rights, taxation and personal and religious freedom that exist throughout the world it becomes clear that to bow to the will of the world community, to trade our sovereignty for universal national equality, serves to diminish the freedom and liberty mandated by The Charters of Freedom, liberties and freedoms paid for with the blood and treasure of patriots. 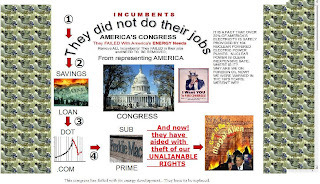 In the youthful existence of the United States of America our nation has come up against many individuals, nations and organizations who would revel in our demise. To permit a non-natural-born citizen to rise to the office of President would be to invite nefarious forces to manufacture a Little Nikita in the hope of bringing about the actualization of Nikita Khrushchev’s declaration that the United States will fall with nary a shot being fired. To believe that organizations like al Qaeda, ideologues like Hugo Chavez and Mahmoud Ahmadinejad or nation states like Russia or China wouldn’t embrace the chance to – through the legitimate means of our electoral process – install an operative in the Oval Office is to be naïve. Each of these entities devote resources to affect the demise of the United States of America including military, economic and ideological (read: propaganda) resources. Because the President of the United States is entrusted with the execution of authority of all Executive Branch departments and the command of the US military, it is vital that anyone aspiring to the office have a complete appreciation and devotion for the American way of life. Failing to vet those who do not possess natural-born appreciation or our uniquely American philosophy is to invite an ideological siege upon our nation and to compromise the ability to bequeath Americanism to future generations. Some add, “So help me God” to punctuate their commitment. Without a solid, unwavering dedication to preserving The Charters of Freedom the President of the United States is ill-prepared to advance the freedoms and liberties mandated therein to future generations. Those who would usurp the genius of our Founders and Framers by diminishing the importance of natural born citizenship as a requirement for President do so at the expense of generational safeguards. Those who engage in this national apostasy should be thoroughly scrutinized for any ulterior motive. Today, as we await the decision of the United States Supreme Court on the issue of President-Elect Obama’s requirement to satisfy Article II, Section 1, our nation stands at a crossroads that runs adjacent to the abyss. Today, there is no provision in the US Constitution for a mechanism to enforce Article II, Section 1 but for US Supreme Court action. On Friday, should the US Supreme Court abdicate its responsibility to the US Constitution, the full Charters of Freedom and the American People, we will stand smaller in the eyes of our Founders and Framers and in the eyes of all who died in pursuit of the preservation of our freedoms and liberty. While it is true that many who have come to be naturalized American citizens exhibit a deeper love of our country than many who take citizenship for granted, one of the few ways to assure that Americanism and The Charters of Freedom survive for future generations is to stipulate that those aspiring to become President of the United States be American. When we “rationalize” that requirement to the ash heap of history we can all rest assured that our freedom and liberty will soon follow. These pictures are of Barack Obama's stepfather who was a student at the El Camino HS in 1963 as an exchange student. The step-father was going by a couple different names too; Lolo Soetoro, Soetoro Moestabjab, Soetoro Mangunharjo, and his nickname was "Toro"... I guess using the different aliases is a family trait. (Lafayette Hill, PA – 12/30/08) - Philip J. Berg, Esquire, the Attorney who filed suit against Barack H. Obama challenging Senator Obama’s lack of “qualifications” to serve as President of the United States which is pending in the U.S. Supreme Court [Docket No. 08 – 570] with two  Conferences scheduled on January 9th and 16th 2009, filed suit against Barry Soetoro a/k/a Obama on behalf of a Retired Military Colonel." YouTube - Exactly What IS a Natural Born Citizen? At common law, with the nomenclature of which the framers of the constitution were familiar, it was never doubted that all children born in a country, of parents who were its citizens, became themselves, upon their birth, citizens also. These were natives or natural-born citizens, as distinguished from aliens or foreigners. Some authorities go further, and include as citizens children born within the jurisdiction, without reference to the citizenship of their parents. As to this class there have been doubts, but never as to the first. For the purposes of this case, it is not necessary to solve these doubts. It is sufficient, for everything we have now to consider, that all children, born of citizen parents within the jurisdiction, are themselves citizens." Minor v. Happersett (1874) 21 Wall. 162, 166-168. ATI News President O'Leary-"Obama has shown a stunning lack of tolerance for free speech"
Politically active Barack Obama supporters in Michigan have tried to silence criticism of the president-elect on a talk program at a community radio station by cutting its air time, the program host says. Officials with radio station WRHC told WND the dispute involved talk show host Martin Dzuris' coverage of local issues as well as national issues. But Dzuris explained in a lengthy interview with WND he attended at least one meeting where radio station officials discussed specifically how to reduce Dzuris' criticism of Obama, which has linked Obama's statements taken directly from his speeches to Marxism. Dzuris said one issue raised was Obama's demand in a Colorado Springs speech for a Civilian National Security Force, an issue on which WND has reported. In that speech, Obama insisted the U.S. "cannot continue to rely only on our military in order to achieve the national security objectives we've set" and needs a "civilian national security force." A video of his comments is here: Dzuris, who spent the first half of his life under communist rule in Czechoslovakia, told WND, that concept isn't new at all. "We called them the 'peoples' militia,' (in Czechoslovakia)" he told WND. He said he's reviewed Obama's speeches in light of his upbringing under a Marxist-type government, and discussed those issues on his program. "I'm just trying to bring to light what he's said," Dzuris told WND. "I'm just taking what he says, his influences, background…," he said. "I lived all those things." [Dzuris] said he was born in Czechslovakia and defected in 1989. Radio station administrator Kim Pruitt confirmed that a number of individuals within the board structure of the 100-watt community station are active campaigners for Obama. But she said a recent decision that sparked Dzuris' outrage to cut his show from two hours to one hour wasn't made on that basis. She said Dzuris show had been extended from one hour to two months ago in order to allow time for discussion of "local events." She said, however, Dzuris didn't fill the additional time with local issues. "The situation was he actually was not spending very much time on the local events and he was spending time on the national events. Elections were of interest to him," she said. So a decision was made by a programming committee to reduce the program time, she said. Dzuris appealed to the full board of directors for the station, which included some members of the programming committee, and ultimately they compromised and restored another 30 minutes of his program time, Pruitt confirmed, even though there are those in the station's coverage area who would "like to see him off the air." WND e-mails and telephone messages for the chief of the station's board, as well as Obama's transition team, did not generate a response. One board member, Dave Repetto, was contacted by WND but declined to discuss the issue. He referred WND to coverage in the area Three Oaks and New Buffalo newspapers. 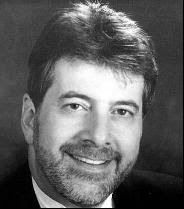 In the New Buffalo Harbor Country News, Dzuris said, "I was told to tighten up my show, but no help or suggestions were given to me about how to do this, and I feel the real reason my time on the air is being reduced is because of my political views that differ with many people on the board of directors and programming committee." Former station program director Linas Johansonas agreed. "This issue is about content," Johansonas told station committee members, according to the News. "I've had board members tell me that they hate Martin's guts. This decision is political, and I hope you can get past that and see the good Martin does in the community." 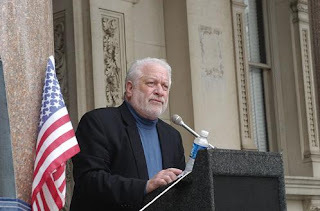 Dzuris confirmed to WND he attended a program committee meeting where members vocally expressed their opposition to the program's political position including its criticism of Obama. But fellow program host Dennis Snow said that wasn't an issue. "If you want to call Obama a communist on the air, you have a right to do that, and I'll defend to the death your right to do that, even though I don't agree with that," Snow said in the News report. "I know you feel we're all a bunch of liberals here, and that we're ganging up on you by reducing your time on the air, but that's not true. I just really feel your show would be better if it was one hour instead of two hours, that's all." Dzuris said the move to reduce his show time came after Obama volunteers, including some from the station, concluded a round of several thousand telephone calls in the region trying to generate support for the Democrat. People would respond that they weren't voting for Obama and then reveal they got information about Obama's links to unrepentant terrorist Bill Ayers, his Saul Alinsky influences and other factors, from Dzuris' program. "On the programming committee, there are people, one that presented the motion, the other seconded the motion to cut my show … many of them were involved as volunteers in our local Obamam campaign," Dzuris told WND. "They've been after my show. Now it came to a head," he said. Many questions about Obama's stated plans for a National Civilian Security Force that is at least as powerful and well-funded as the U.S. military remain unanswered. But Obama's new chief of staff, Rahm Emanuel, has said there will be a mandatory "force" for Americans. "If you're worried about, are you going to have to do 50 jumping jacks, the answer is yes," Emanuel told a reporter who was podcasting for the New York Daily News. WND also reported when the official website for Obama, Change.gov, announced he would "require" all middle school through college students to participate in community service programs. That proposal, however, was changed suddenly after a flurry of blogs protested children being drafted into Obama's proposal. The new wording reads, "President-Elect Obama will expand national service programs like AmeriCorps and Peace Corps and will create a new Classroom Corps to help teachers in under served schools, as well as a new Health Corps, Clean Energy Corps, and Veterans Corps. WND also previously reported on a video of a marching squad of Obama youth. The apparent censorship also raised questions about the so-called "Fairness Doctrine," which, if re-adopted in Congress, could be used to severely limit conservative talk radio in the United States. If would require broadcasts over the public airwaves to give equal time to opposing political views. For talk radio, which boomed after the law's repeal in 1987 by building an audience devoted to conservative talk, the law's return would decimate the industry's marketability. Many fear the "Fairness Doctrine" would drive talk radio hosts – like Rush Limbaugh, Sean Hannity and Michael Savage – out of business. As WND reported, ATI-News President Brad O'Leary examined Obama's legal and organizational attempts to silence media detractors during the presidential race and found, "Obama has shown a stunning lack of tolerance for free speech throughout the course of this campaign." Obama's presidency, he said, could "allow the Democrats to snuff out any broadcasters with whom they disagree." pessimistic, according to a Military Times survey. of military service and experience leading men and women in uniform. said one lance corporal who asked not to be identified. them to war in Afghanistan and Iraq. according to survey responses and interviews. decline from 69 percent in 2004.
members — said they are optimistic about their incoming boss. included more than 1,900 active-duty respondents. junior enlisted service members, and over-represents soldiers. with different political and cultural attitudes. questions about how he will govern as commander in chief. that they have doubts about him. Corps and NATO’s Supreme Allied Commander Europe. a holdover from the Bush administration, as defense secretary. Agreement calling for U.S. forces to leave the country by the end of 2011.
of U.S. service members in Iraq. troops there by more than 20,000, for a total of more than 50,000. While the majority of respondents expressed some degree of optimism the U.S.
more than a decade to achieve its goals. traumatic brain injury, stigma associated with the conditions lingers. have suffered from PTSD, TBI or other mental health issues. If you remember a convicted felon Tony Rezko has helped Obama to purchase his house. A deal was made, whereby the house was bought in 2 pieces: Obamas bought the house for 1.6 million or 300k below the asking price and Rezkos bought the backyard as a separate lot for a fee that was much higher then the going rate. Their defense was that somebody else put an offer on the house for less, and Obama's price was the best and, what is more interesting, is that somebody else put an offer on the lot equal to Rezkos, meaning they couldn't buy the lot for less, therefor it wasn't really a bribe to the government official, it was a good real estate deal. This last fact got me thinking. A few years ago I passed the state boards and got a real estate brokers license. I didn't have time to deal with it lately, but I remembered reading at the time about stealth offers. Can anybody, particularly our friends in Chicago or people dealing with Real Estate currently, check who made those back up offers. Were those real offers from people that were actively looking for properties of this type and actually bought such properties, or were those stealth offers, coming from some of Obama's or Rezko's associates or relatives and were done just to cover somebody's back. I remember that an appraiser from the bank recently sued the bank because he has written a statement that the values of the properties in question were wrong and he was abruptly fired. Can anybody get in touch with this appraiser and his lawyer? 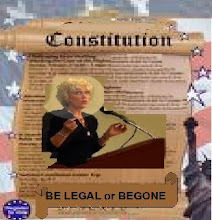 From: "Carole Richard" Add sender to Contacts To: dr_taitz@yahoo. It was reported yesterday that Patrick Fitzgerald, US attorney for the Northern District of Illinois has extended his investigation of Blagoevich and delayed indictments for 2 more months (90 days instead of usual 30 days)and what is more encouraging, is that Blag's attorney is not objecting. Fitzgerald has stated that he received a large amount of information from witnesses, that need to be processed, and he needs more time. I believe that this is great news. I've seen some Obots reporting that this means that the deal was made and no indictments are coming against Blag and Obama, that Obama is being protected, I believe, on the contrary, it shows an active comprehensive investigation that will include a number of members of BO's team and it will end with indictments of a number of people, including BO himself. Let's look historically. Fitzgerald indicted Rezko. Rezko was convicted, however now Rezko is in solitary confinement awaiting sentencing. Sentencing was delayed and Rezko's attorney is not objecting. Why would a person agree to have his sentencing delayed? If a deal was made to cut his time in exchange for singing. By all accounts Rezko is singing like a canary. Who did he and Iraqi businessman Auchi support? Blag and Obama. Now let's look at Blag. Why isn't his attorney objecting to 60 day extension? The only reasonable explanation, is that the deal was made that if he cooperates and sings about BO and his team, US attorney's office will go easy on him. Obama's thugs are simply trying to discourage you. Just like a day before the election they came up with this manufactured decision of Virginia judge, saying that Bo's BC is genuine and legal actions about the BC are frivolous. You didn't listen to BO's garbage then and filed 31 legal actions all over the country demanding answers and more yet to come. You should not believe BO's thugs that are implying that Patrick Fitzgerald is on the take like everybody else and nothing will come out of this investigation. No, not everybody is crooked in this country. There are still some decent people in law enforcement and judiciary. Patrick Fitzgerald has asked the public for information and by god you should give it to him. He would not be going on TV and asking for the help from the public, if he was on the take and was looking to bury this investigation. Hundreds of people have reported to me that they mailed and faxed and called Patrick Fitzgerald's office and provided information. A lieutenant Colonel from Florida has sent a 60 page report to Fitzgerald and hand delivered a copy to the FBI headquarters in Pensacola,Florida. This lieutenant colonel should call periodically and check on the progress and handling of this report. Real patriots of this country have submitted info to the US attorney, FBI, Attorney General offices, Congressmen, Senators, President Bush. The investigation and possible indictments have extended to dozens of areas. Please, make sure you download on the hard drive and make paper copies of all info gathered on Internet. A number of people have reported to me that material damaging to BO and his thugs is being scrubbed. One thing I know, they can scrub all they want. They are dealing with 320 million decent American citizens, there is an enormous power in this number. 260 million did not vote for Obama. 60 million that voted for him didn't have information that is brought in the open now, and many are saying that if they had all of this information, they would not have been voting for Obama and would have been voting for another Democrat, like Hillary or for McCain. Keep working hard, it is just the matter of time until these people are indicted and convicted. Let's hope that indictments come before the 20th. If not, keep in mind that it took some time to uncover Watergate, but it was uncovered in the end. The end to this nightmare called Obamagate is coming. Just be patient and keep your eyes on the prize. Yesterday, "TC" and I went on an expedition to DC to inspect the "certificates of votes" that are publicly available for examination at the Federal Register. I know that the certificates of votes of 24 jurisdictions have been scanned in on the web as of this writing, but that still leaves 27 unscanned (since DC also gets 3 electoral college votes). So after receiving some conflicting and confusing and contradictory stories from the Federal Register about the missing jurisdictions (even on the "deadline", December 24, 2008), as well as an invitation to come and look, I went. The security was pretty tight in the building. But the people were nice. They were quite surprised to see us actually. In the entire time that the "certificates of votes" have been available in DC this election cycle, TC and I were the only members of the public to show up to look at them. The Federal Register was caught off-guard and with a skeleton crew. They had to pull a couple of people off other tasks to have them babysit us and the certificates while we examined them. We even got a very senior manager and lawyer to sit with us for hours and hours. I suspect that probably we were the only citizens to visit this office in the last couple of election cycles to inspect these certificates. This does not bode well for our constitutional republic. People, we need to keep on top of the government to make sure they are doing their jobs. We need to make sure that no funny business is going on, such as letting dead people be electors (like Ilene Huber in California) or ineligible candidates on the ballot (like Roger Calero , and very possibly, Barack Obama - and some might argue, even John McCain). We need to double check these bureaucrats, who work for us. We need them to know we are looking over their shoulders. And we need to complain to our elected representatives. Plenty. If this is important to us, we need to let them know. Otherwise, they will just let it slide. Just look at the ridiculous responses we have had from elected representatives so far on this Obama eligibility issue. Look at the responses we have had from Secretaries of State and other state election officials when we have asked them about who determines the eligibility of the candidates standing for election, even in states which have election laws which require them to do this. So far, over half of the states have responded that they do not check that the candidates meet the requirements. Anyway, we found that the certificates of two states were "missing", much to the embarassment of the Federal Register people (Nebraska and Georgia). They will try to round those up. The certificates came in an astounding variety of formats, since there is no uniform required format. Although I think in some ways our expedition was a waste of time, in other ways it was quite valuable. It was a signal to the Federal Register that there are citizens who still are watching. And will make sure that the law is followed. If we do not exercise our rights, pretty quickly we will find we have lost them. And this election is a perfect example of that. We depend on our political system with two strong political parties to keep an eye on each other, but clearly this election is an example where this system failed a bit (just look at the responses we received from elected representatives, both Democrat and Republican). And look at the response of our once very dependable mainstream media and investigative journalists. This watchdog body has turned into a paper tiger; even the conservative media have basically given up on this one. And that is how this unbelievable situation has developed. I found that the metro tickets in DC now feature the image of Barack Obama. That is absolutely amazing! I bet that this has not been done for any previous president about to be inaugurated. His picture is everywhere in DC actually. People are beside themselves with pride over his election. Is this how a cult of personality starts? I heard one of the commentators on ABC's "This Week" program last Sunday predicting glibly that Barack Obama will have an extraordinarily long "honeymoon period". The commentators were almost universally ecstatic, bordering on orgasmic, about the prospect of Barack Obama taking office. This is at the same time that US Attorney Patrick Fitzgerald is arresting Obama associates and all kinds of troubling questions exist. Fitzgerald has even asked to leave the period for indictments open for another 90 days to give him time to investigate, which is well into Obama's term. Interestingly, Governor Blagojevich's lawyer was as quiet as a churchmouse about this development. What does that tell us? Obviously, more is going on here than meets the eye. Lots more. I guess Fitzgerald is asking to be a "special prosecutor" and not be terminated, which is what would happen normally when an administration changes. This would have to be a first; a new president that starts off his presidency with a special prosecutor already going after him. A new president with over 20 active lawsuits challenging his eligibility in the courts, and more coming. A new president that gives every sign of having taken the election through massive fraud. A new president that has prompted numerous states to consider changing their election laws, specially designed to keep someone perpetrating this kind of hoax off the ballot..
And this is supposed to lead to an extraordinarily long honeymoon? Well I guess I will believe it when I see it.